We just want to say thank you SO much for our beautiful ketubah, we cannot believe you got it to us so fast and efficiently. It is everything we hoped for. When we sign it in January we will send you a photo! It arrived perfectly and not damaged. 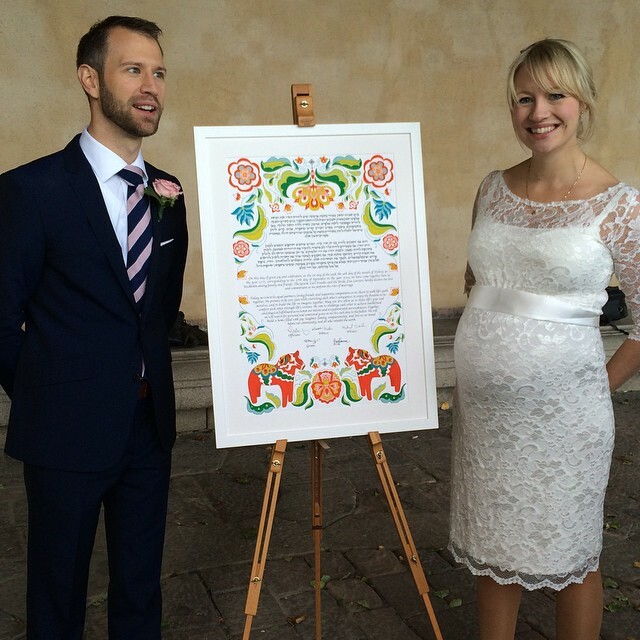 Ketubah Love: Our First Swedish Ketubah! 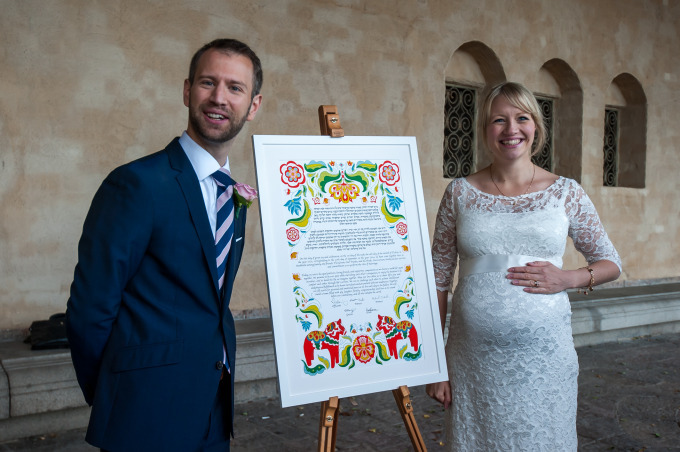 How to Prevent a Ketubah Fiasco! Secret Underground Ketubah Vault Discovered! Read 100 Raving Reviews of TINAK!